Rivermount Boys beaten by Portrane Athletic. 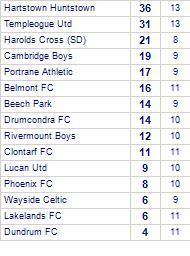 Portrane Athletic has yet to be beaten in this competition, having won 3 out of its last 5 games. 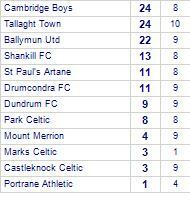 Ballymun Utd beat Portrane Athletic. 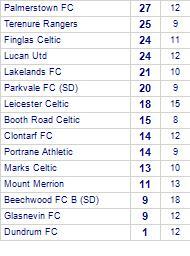 Ballymun Utd have yet to be beaten at home. 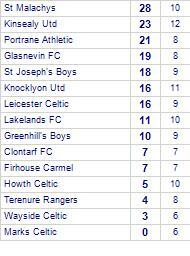 Portrane Athletic has yet to win in this competition, having lost all 3 games.